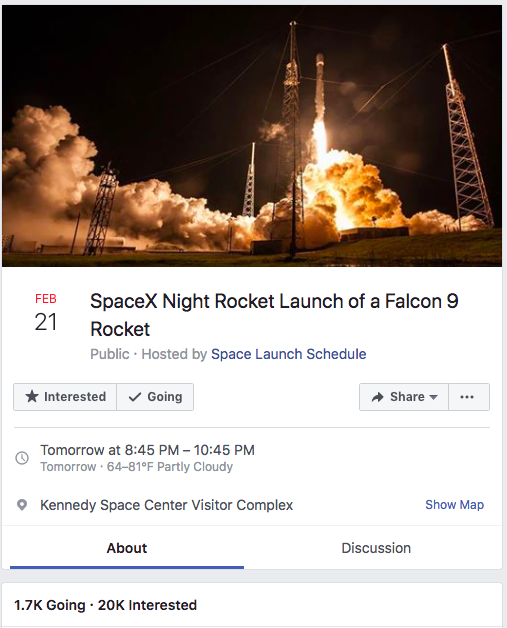 Join us tomorrow, February 21st 2019, at 8:45pm for the SpaceX Falcon 9 rocket launch! The rocket will be launching from the Space Launch Complex 40, Cape Canaveral, FL. The status of the launch is GREEN with an 80% chance of favorable weather conditions. Come witness one of the most incredible sites you’ll ever see, and don’t forget your cameras!